What exactly is profit in a business? 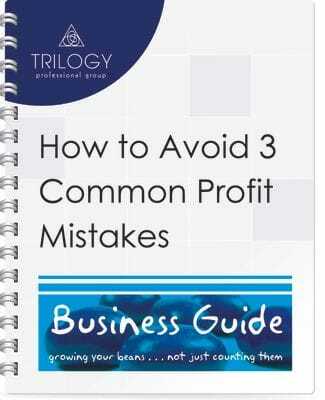 This eGuide shows you how to avoid 3 common profit mistakes that can seriously affect the success of your business. This eGuide provides some suggestions for unlocking funds without affecting your operational capacity. Keep in mind that you should always seek professional guidance before making changes to your business if you are unsure of the repercussions or potential issues. Cutting costs can be a quick and easy way to improve the profitability of your business. Introducing cost-control measures can bring immediate savings and ensure you remain profitable in the long term but it's important that cost-control measures are carefully managed. Eliminating errant expenses is clearly beneficial, but indiscriminate cost cutting could lead to a drop in quality, or poor morale if staff fear being made redundant or are not given the tools they need to do their job efficiently. This risk is heavily reduced by identifying where you can safely trim costs, setting clear cost-reduction targets, and researching any cost-saving initiatives before making changes to your business. This report provides insights into the opinions and concerns of business owners, and explains how SMEs are surviving and thriving. We know SMEs love hearing and learning from their peers, so we have included comments and experiences of SMEs about their top business concerns, and ideas for addressing their needs.